Marc originally trained as an actor at Drama Centre London before moving into casting. Marc has recently cast Macbeth (Mercury Theatre, Colchester); Strangers on a Train (English Theatre Frankfurt); Dial M for Murder, An Inspector Calls, End of the Rainbow, Calendar Girls (all UK Tour); The Duck House (West End); Goodnight Mister Tom (West End/Chichester Festival Theatre/The Children’s Touring Partnership); Stepping Out (Salisbury Playhouse); The Mousetrap (60th Anniversary Tour); The Woman In Black (West End); Mother Adam (Jermyn Street Theatre); The Hairy Ape (Southwark Playhouse); Sign of the Times (Duchess Theatre); Far Away (Bristol Old Vic) and The History Boys (Theatre Royal Bath/West Yorkshire Playhouse) and was casting associate on the brand new West End musical The Bodyguard. Marc has worked alongside fellow Casting Director Sarah Bird on series 6 of Hustle, the BBC One Wales series Crash, Elf the Musical (Plymouth/Dublin); Sweet Bird of Youth, Cause Celebre, Fortune’s Fool (Old Vic); Forgotten Voice (Edinburgh Festival); Perfect Nonsense, The 39 Steps, The Full Monty, Calendar Girls (all West End and UK tour); All My Sons (Regents Park); Race (Hampstead Theatre); The Ladykillers, The Rise and Fall of Little Voice, Speaking in Tongues, An Ideal Husband, When We Are Married, Deathtrap (all West End); The Way of the World (Sheffield Theatres); The Madness of George III, The Rivals (Theatre Royal Bath/West End); Eden End (ETT); Hobson’s Choice, Me & My Girl (both Sheffield Theatres); Blithe Spirit, Pride and Prejudice (Theatre Royal Bath); The Beauty Queen of Leenane (Young Vic); The Caretaker (Trafalgar Studios); The Crucible (Regents Park); Juliet and her Romeo (Bristol Old Vic); End of the Rainbow (Northampton); Rainman (UK Tour); Mrs Klein (Almedia Theatre); Bedroom Farce/Miss Julie (Rose Theatre Kingston). Ryan was born in Leeds, studied in Liverpool and lives in London. He works in the UK and Europe. Recent credits include Lia’s Guide to Winning the Lottery (Bridewell Theatre, London); Sweet Charity (The English Theatre Frankfurt); Angus, Thongs and Even More Snogging (West Yorkshire Playhouse); The Crucible (Altes Schauspiel, Stuttgart); The Who’s Tommy (European Tour); Hamlet! The Musical (Royal and Derngate, Northampton and Richmond Theatre) which won the WhatsOnStage Theatregoers’ Choice Award; a revival of On the 20th Century (Union Theatre, London); the German premières of Spring Awakening and The Full Monty (The English Theatre Frankfurt); the world première of A Day at the Racists (Finborough Theatre / Barking Broadway); the world première of Terje Vigen (Royal Concert Hall, Oslo / Arts Theatre, London); Terry Johnson’s Hysteria, Hair, Ira Levin’s Deathtrap and The Fox (The English Theatre Frankfurt). 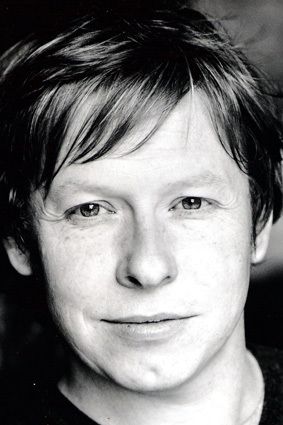 Ryan co-founded Rogue State Theatre Company in 2002 and has directed five of their productions including Heart of a Dog (The Assembly Rooms, Edinburgh), The Adding Machine (Courtyard Theatre, London) and Gogol’s Underdogs (Edinburgh Festival). 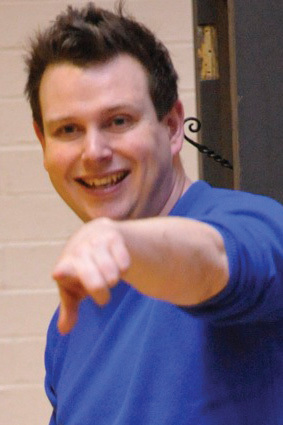 Ryan worked for the RSC on the development of their Matilda musical and the National Studio on Tory Amos’ The Light Princess. Ryan was Resident Director on the musicals Billy Elliot and Bat Boy in the West End, Cinderella at the Old Vic and Associate Director on The Common Pursuit at the Menier Chocolate Factory. Later this year Ryan will direct Spring Awakening for Alte Schauspiel, Stuttgart. Ryan is associate director for The English Theatre Frankfurt and Perfect Pitch Musicals.